Financial comms pioneer Roddy Dewe dies; people moves at Hotwire and Field Consulting; Italian chapter for Global Women in PR; PRCA digital winners; a merger; a new agency and a collaboration. 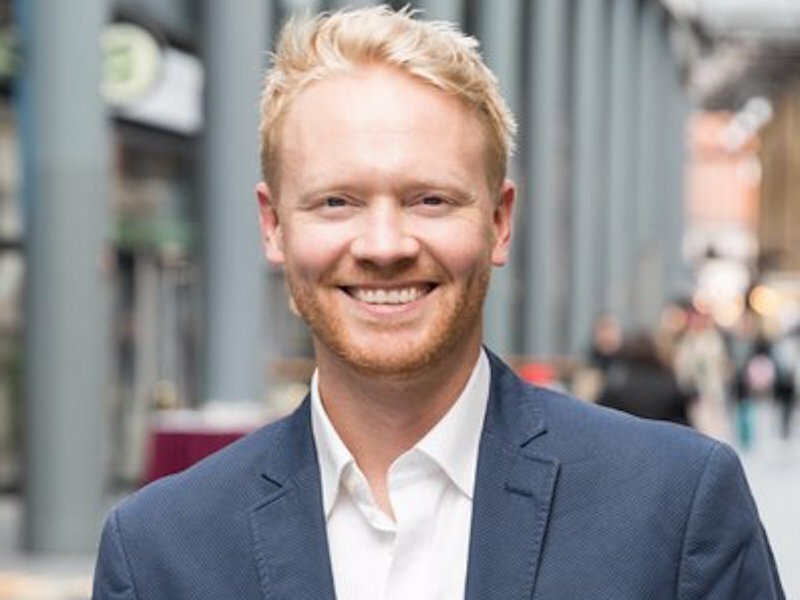 LONDON — Hotwire’s UK managing director Matt Cross (pictured) has been promoted to the newly-created role of head of B2B, EMEA. A new MD will be joining the agency in the next three months. In the meantime, Adele Breen, who created the agency’s corporate comms team 18 months ago, will take on an interim UK MD role. LONDON — Coolr has been named as the digital agency of the year by the Public Relations and Communications Association at its annual digital awards. The agency also won an award for its Kanye West tweet on behalf of client Burger King, now the most-liked brand tweet ever. Other winners included Golin, W2O, PR Agency One, Hope&Glory, MSL, Pegasus and PLMR. The outstanding contribution award went to independent consultant and former CIPR president Sarah Hall. LONDON — Breakthrough Media and sister company Zinc have consolidated under one banner, Zinc Network, to create one global communications agency that aims to drive social change through online community and influencer-led campaigns, including government programmes. To support the merger, CEO and co-Founder Robert Elliott has hired Buster Dover, previously MD of MullenLowe Group in the UK, as managing director, and Kru Desai, leader of KPMG’s government and infrastructure practice, as non-executive chair. LONDON — Public affairs firm Field Consulting has appointed Lucy Holbrook as its first managing director. Holbrook joins after five years at Pagefield, where she was a partner. She spent six years as a lobbyist at Connect Communications. Field now has 15 employees and its clients include Capital & Counties Properties, Govia Thameslink, the Football Association and renewable jet fuel technologist Velocys. MILAN – Global networking organisation Global Women in PR (GWPR) has launched an Italian branch. GWPR Italia will help women fulfil their career potential and aspire to take on leadership roles, as well as increasing awareness of the value of gender diversity in business. The association will focus on gender issues in the workplace, including flexible working, career development and equal pay. The founder president is Carola Salvato, CEO of Havas Health and YOU Italy, with vice presidents Alessandra Malvermi, managing partner at Sound PR, and Cristina Risciotti, a senior business advisor at Omnicom PR Group. MOSCOW — iMARS Communications has signed a collaboration and cooperation agreement with Indian media relations group PR24x7 Network. The two firms have agreed joint activities to support Indian companies entering the Russian market, and companies from Russia and the CIS entering India. MACCLESFIELD, UK — French radio communications specialist ETELM has appointed technology PR agency Context to deliver a media relations and social media campaign to drive awareness of its professional mobile radio infrastructure capabilities and R&D for the oil and gas and transport industries and the public sector, including the emergency services. The brief is to promote new and existing partnerships and product enhancements, as well as building ETELM’s profile across sector verticals.